If you need to move a valuable package or need to transport something urgently then you might look to the services of a parcel courier. For smaller packages you might be able to use the post office, but if you need a large parcel delivered then a dedicated courier could be your best bet. Large parcel delivery services can be employed to send your items all across the country and Europe as well as to pick up items that you might be buying long distance, such as an item bought in an eBay auction. Before you hand over your consignment to a parcel delivery company you need to make some precursory checks and preparations to make sure that it’s ready for transportation. Dimensions: Make sure that you detail the weight and sizes of your package, as this can help you to get the most accurate quotes on deliveries. Smaller firms will have a cut-off point of what they consider a parcel, so you may have to use a large parcel company. If you’re transporting internationally you might need the volumetric measurement which is Length*Width*Height divided by 6,000. This equals the volumetric KGs when measuring in centimetres. Dates: (Not the fruit) Knowing when you need your parcel picked up and delivered will help any driver, and because they might be picking up your parcel as part of another journey it can help to be flexible with your days. Packing: When you’re moving something important or fragile be sure to provide it with adequate protection. Bubble wrap and boxing up are all good ideas when transporting large parcels as this helps with the handling and loading of your deliveries. Checks: Before sending your parcel (or receiving it, if buying something online)make sure that the condition of the item is documented, including pictures – this way when it arrives you’ll be able to discern whether it has been damaged in transit. When you need to find a large parcel courier there are number of things that you’ll want to consider before committing to one. Insurance: If you’re transporting with a recognised delivery company they will have goods in transit insurance. Depending on the value of your consignment this might not cover you, you will be able to request extra cover for an additional charge. Membership: Not expressly required of large parcel courier services, membership of an association such as the National Courier Association can assure you that you’re getting a high standard of service. Drop off: Depending on the service, they may offer to leave your parcel somewhere secure should you not be available to collect it yourself. This might be a porch or with a neighbour, or even a local shop. Make sure that you arrange this with the firm beforehand. Signage: When sending and receiving parcels you will probably need to sign off the package when giving it to the courier and someone will have to sign on receipt – this can be arranged to be someone other than you, just make sure that the delivery driver knows who it’s going to be. Consolidation: Some delivery companies run specific routes, therefore if you can find one that is going near both collection and delivery points then your parcel should be able to hitchhike on the back of other deliveries, this can save you a substantial amount when sending large packages. Being flexible with the pick-up and delivery dates will usually help you get a better price. Finding and comparing all the dedicated delivery companies would be exhausting. Getting quotes for moving your valuables is important, but you don’t want to be doing all the legwork yourself. Shiply can help you find and compare a range of large parcel couriers, or rather we can help them find you! Uploading the details of your consignment to Shiply will allow transporters to quote on your delivery. Make sure to include the details of your item such as weight and size, info can be imported from eBay too, if you’re buying something from there. Firms will compete to carry out your delivery, meaning that the price can be driven down. 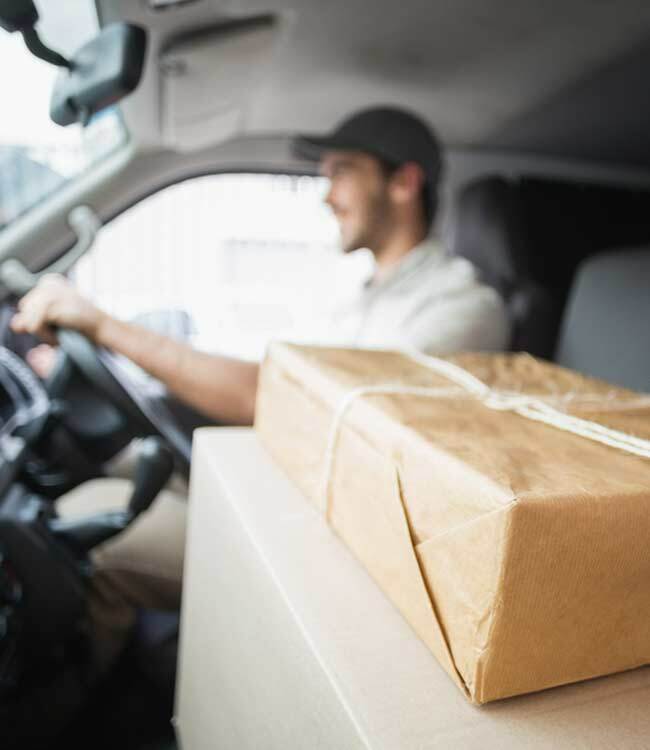 Drivers going the same way as your package will be able to quote you significantly less than a van you hire specifically to carry out your delivery. When you receive a quote that you’re happy with, all that’s left is to accept the quote and get your parcel moved. When your goods are delivered you’ll need someone to sign for them, this can be you or another elected party. Make sure to check the package for any visible signs of damage too, any issues should be taken up with the transport provider ASAP. Once everything’s been signed off and you’ve got your parcel, be sure to leave some feedback for your delivery driver on Shiply. Leaving feedback scores and reviews not only lets the courier know if they did a good job, it also helps future users when they’re comparing services.